Follow the instructions provided below to create a GeoGebra applet that translates a polygon. Step 1: On the right side of the applet (or, on the right side of the axes) draw a non-regular, non-symmetric 5+ sided polygon using the Polygon tool. (That is, a polygon with 5 or more sides that doesn't look too neat and tidy!) 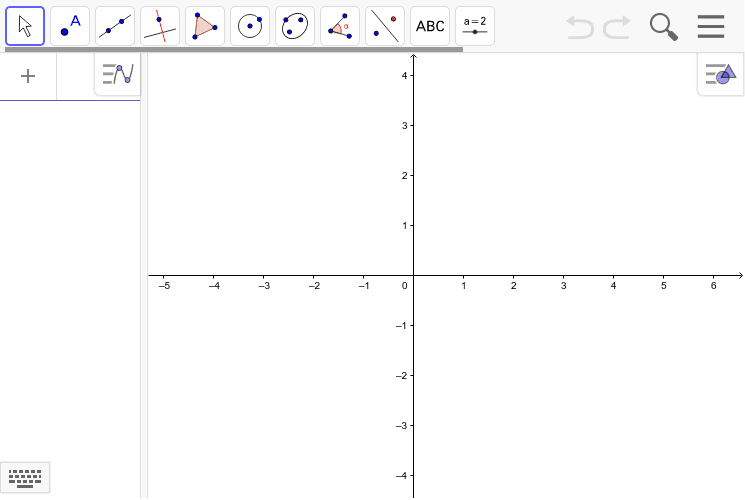 Step 2: On the left side of the applet (or, on the left side of the axes), draw a vector using the vector tool. Step 3: Use GeoGebra's inbuilt "Translate by vector" tool. Be sure to read the tool tips that show up when you select this tool! Step 4: Make changes to the polygon and to the vector to see how those changes affect the translated image. Follow the instructions provided below to create a GeoGebra applet that reflects a polygon. Step 1: Draw a non-regular, non-symmetric 5+ sided polygon using the Polygon tool. (That is, a polygon with 5 or more sides that doesn't look too neat and tidy!) Step 2: Draw the line of reflection using the line tool. Step 3: Use GeoGebra's inbuilt "Reflect about line" tool, to reflect your polygon. Step 4: Make changes to the polygon and to the line of reflection to see how those changes affect your reflected image. Follow the instructions provided below to create a GeoGebra applet that rotates a polygon. , which should be the name of your angle, by clicking the Greek menu at the end of the input box. Step 4: Make changes to the polygon, the point of rotation, and the slider angle to see how those changes affect your rotated image.